We met a nice family from Austria this morning as they stopped by Maui on their around-the-world sail onboard the Pakia Tea. 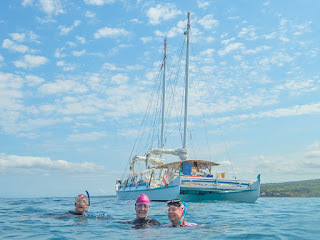 We meet the nicest people while out on our ocean swims. 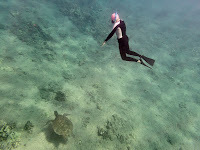 Click HERE for more photos of the Maui Pink Cap swimmers this morning.